Batman and Batgirl have been busy. And they have the pictures to prove it! In between fighting crime and saving the planet, it seems Batgirl and Batman have been sharing a bit of “Netflix and chill” in the Batcave. 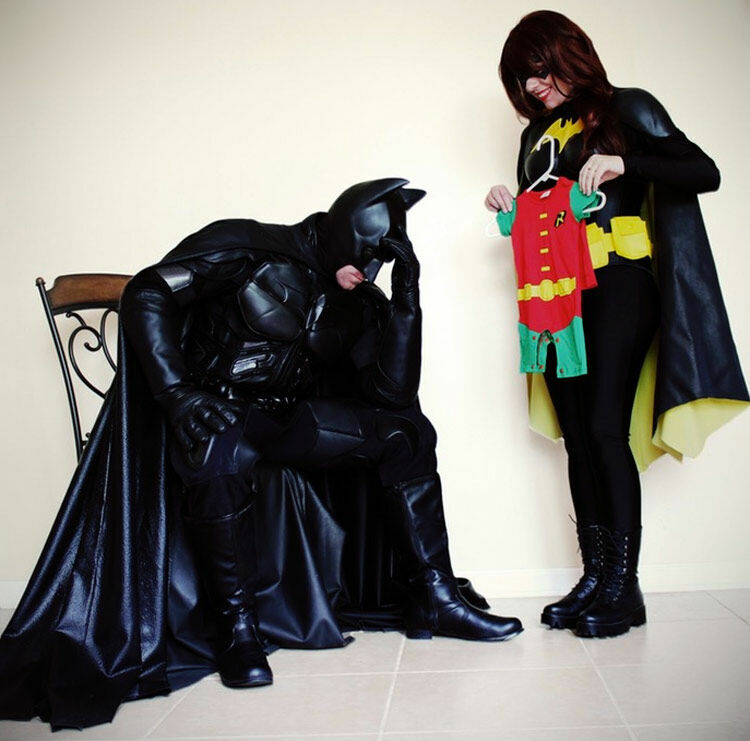 And, as all superheros do, the cosplay-loving couple have staged a pregnancy photo shoot that is super-stupendous. Nothing says “welcome to fatherhood” quite like a miniature Robin costume. 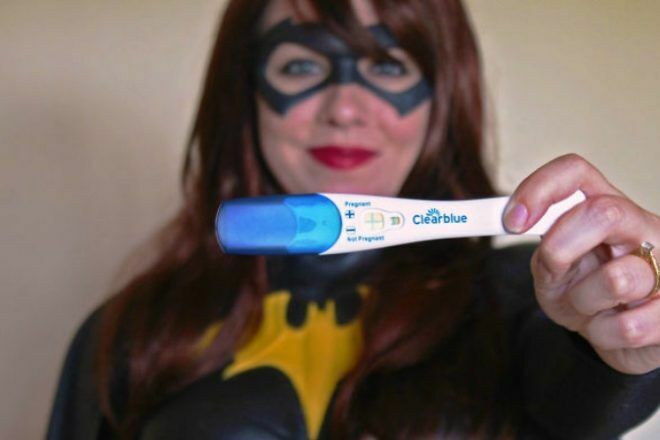 Thus, when James and Alisha Doherty discovered they were having a baby, it made sense for the comic loving duo to share their happy news through a series of superhero cosplay photos. 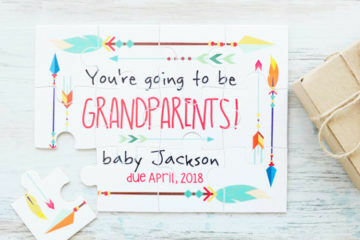 The couple took to Reddit to reveal their baby news and show off their unique pregnancy announcement. 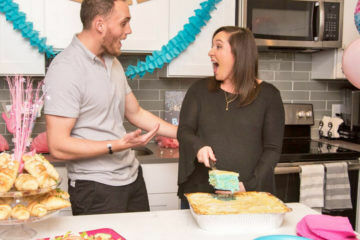 Donning incredibly impressive Batman and Batgirl outfits, the Nashville couple gave everyone a chuckle with their pregnancy reveal announcement. But, wait, it gets better. Because the couple didn’t stop at just one image. Oh no. 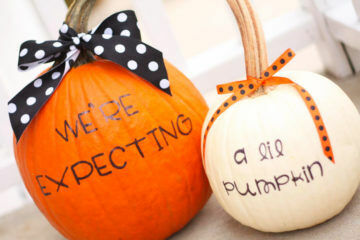 They played out all the traditional pregnancy announcement shots, in costume of course. First we have the classic “here is my pregnancy test to prove I’m pregnant” photo (above). 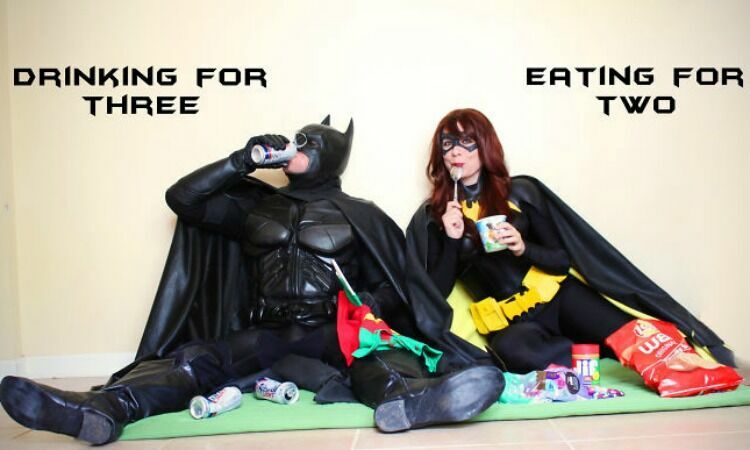 Next we have the traditional “eating for two” photo. It appears Batman is graciously taking on the beer drinking duties while Batgirl is busy growing an infant. 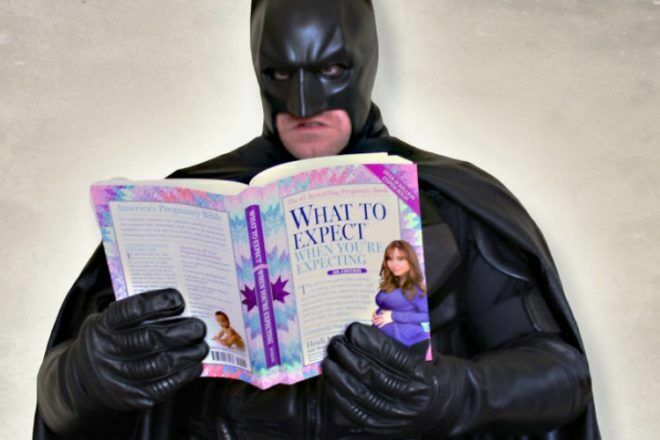 And it’s just not a superhero pregnancy announcement without the “what to expect” picture, where Batman reads up on everything he needs to know about raising a little sidekick. His face says it all. 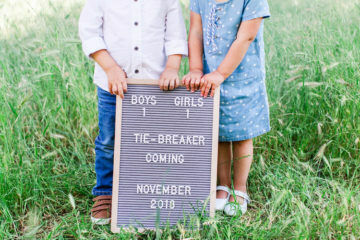 Since making their very original superhero pregnancy announcement announcement, James and Alisha’s photos have reached heroic ‘viral’ status with countless websites sharing their sweet story. With parents as creative and clever as this, little Robin is sure to have a lifetime of comic reels to look forward to. 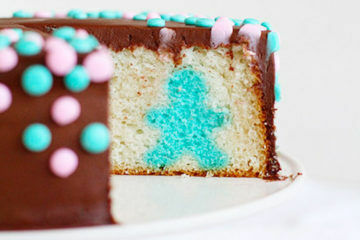 Do you have a cute pregnancy reveal photo? We’d love to see it. 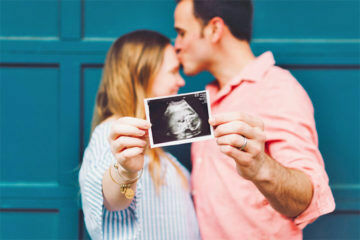 Check out some of our other favourite pregnancy reveals including these time-lapse videos, these gender reveals and this paraplegic dad’s awesome pregnancy announcement.